We would like to bring to your attention an article published in DNA, dated July 16, 2011, by Dr Subramanian Swamy, titled `How to wipe out Islamic Terror’. The piece was published three days after the Mumbai bomb blasts. i) ``News, views or comments relating to communal or religious disputes/clashes shall be published after proper verification of facts and presented with due caution and restraint in a manner which is conducive to the creation of an atmosphere congenial to communal harmony, amity and peace…..writing about the incident in a style which is likely to inflame passions, aggravate the tension, or accentuate the strained relations between the communities/religious groups concerned, or which has a potential to exacerbate the trouble, shall be avoided. ii) ``Journalists and columnists owe a very special responsibility to their country in promoting communal peace and amity. Their writings are not a mere reflection of their own feelings but help to large extent in moulding the feelings and sentiments of the society at large. It is, therefore, of utmost importance that they use their pen with circumspection and restraint. At a sensitive time like this, Dr Swamy's diatribe can only serve to inflame passions against an entire community. 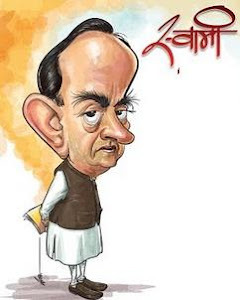 In the wake of angry rejoinders to the article, the editor of DNA wrote that Dr Swamy's views were published in the ``spirit of not denying space to different points of view.'' But a point of view expressed in terms that constitute an offence under IPC Sec 153-A (promoting communal enmity), scarcely deserved space in a responsible newspaper. We request the Press Council to please examine the matter and take appropriate action. 18. A J Jawad, Advocate, Madras. “I declare to the best of my knowledge and belief that I have placed all the relevant facts before the Council and that no proceedings are pending in any court of law in respect of any matter alleged in the complaint. I will notify the Council forthwith if during the pendency of the inquiry before the Council any matter alleged in the complaint becomes the subject matter of any proceedings in a court of law".